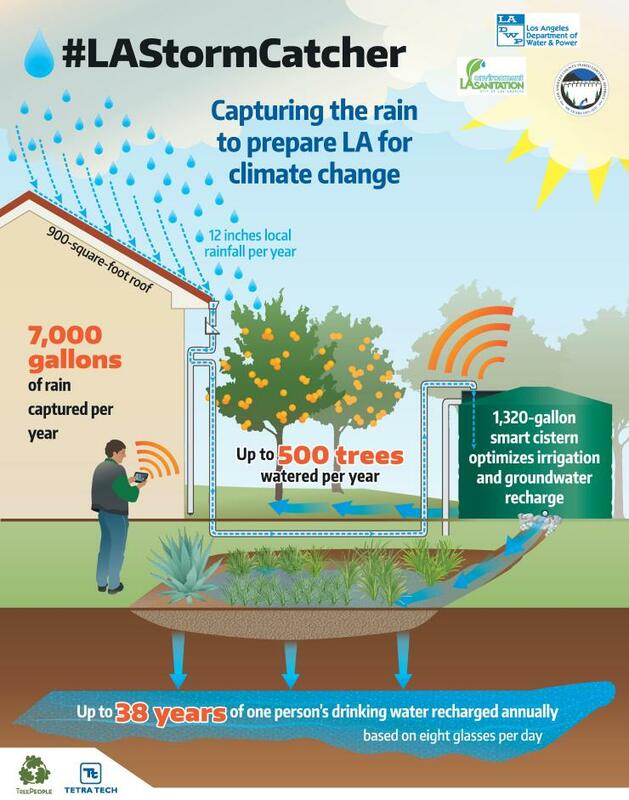 On Nov. 4, Los Angeles County and the City of Los Angeles unveiled LA StormCatcher, the area’s first-ever public-private collaboration that will capture and reuse stormwater. As many as eight homeowners in South Los Angeles and the San Fernando Valley will participate. Each home will be equipped with a cistern that can hold nearly 5000 L (1320 gal) of water. The cisterns are linked and can be managed remotely from a computer. The technology uses predictive weather models to anticipate storm flows and water levels in the cistern. If necessary, the smart system opens a valve to release water before the rain begins. Runoff captured from homeowner rooftops will flow through underground pipes into the cistern. A filter will remove pollution and dirt before the water flows into a rain garden. This water will recharge the local groundwater aquifer, rather than flowing into the area storm sewers and eventually the Pacific Ocean. The system “reinvents our region’s relationship to the rain—with the potential to turn two million rooftops in LA County into a distributed network of storm-catching sponges,” said County Public Works Director Gail Farber. The pilot project involves the Los Angeles County Flood Control District and Department of Public Works as well as the city’s Department of Water and Power and its Bureau of Sanitation. The engineering firm Tetra Tech and environmental nonprofit TreePeople also are involved. Ms Wassenaar’s home does not seem t have any rain gutters, so how is the roof rainwater capture done? Good point Bill. the photo seems to be a typical rain garden. Wonder if there is even cistern involved. 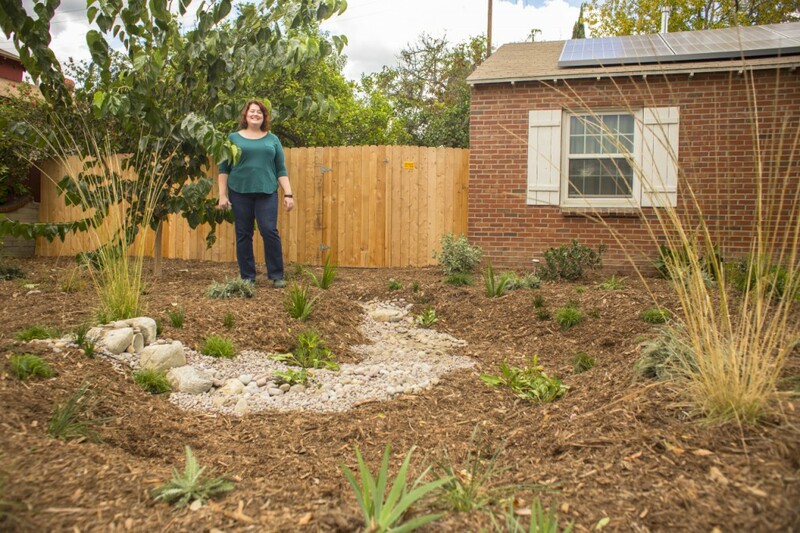 With her yard, you could capture water in the soil from roof runoff, and the slope would move the water toward the low spot. The cistern approach is a very high dollar, high resource way of harvesting rain. Slow it, and spread it, and it will sink into the soil!